The Screencap project is officially ended on 31 October 2017. This website will therefore no longer be updated. The essence of the innovative concept of Screencap is the recovery of solids from raw wastewater on the basis of particle size rather than density. The partners, Aa and Maas Water Board, CirTec and KWR Watercycle Research Institute, have completed the Screencap research project on the Aarle-Rixtel wastewater treatment plant (WWTP). The project was subsidised by the European Union, with the aim of promoting the large-scale market uptake of fine-screen technology. The most significant results of the research are a 15% reduction in the aeration energy required, a 10% reduction in sludge production and a 10% increase in the capacity of the WWTP due to the use of fine-screen technology. Important aims of Screencap are 1) an initial validated use of full-scale fine-screen technology as a pre-treatment stage in a biological wastewater treatment plant and 2) overcoming obstacles in the market so that the concept and the technology can be used in Europe and beyond. The research involved investigating the performance of the fine-screen system and the impact of the fine-screen system on the treatment process. 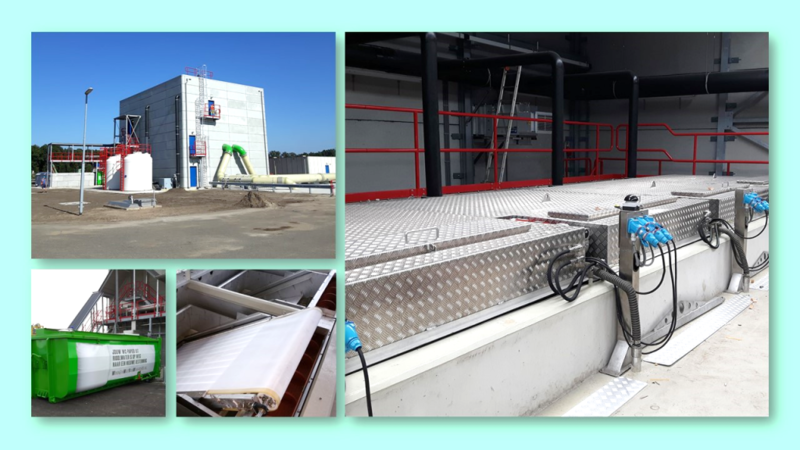 The project involved the first full-scale use of the concept, whereby the impact on the treatment process was established at the Aarle Rixtel WWTP in the Netherlands. The Aarle-Rixtel WWTP is a unique situation because it has two identical wastewater treatment lines. The Aarle-Rixtel WWTP with two identical wastewater treatment lines (before the installation of fine-screens). The fine-screen installation was incorporated into one of the two treatment lines, as a result of which the impact of the fine-screens on the operation could be accurately monitored and compared with the ‘conventional’ treatment line. Screencap: the recovery of solids from raw wastewater on the basis of particle size rather than density, as a result of which the water treatment is more efficient and a product with various uses can be recovered. 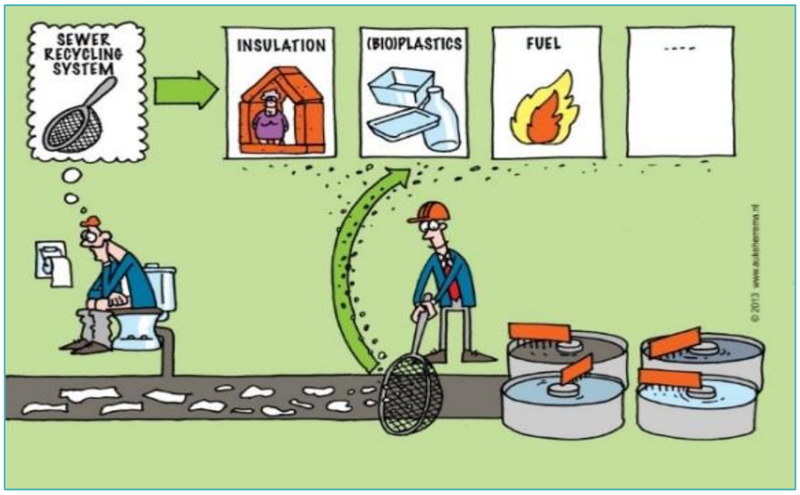 At the start of the project it was expected that the fine-screening of influent would provide a significant positive contribution to processes further along the treatment chain, which would make wastewater treatment more efficient and result in a product (mainly cellulose) that could be recovered and valorised. The treatment of sewer water using fine-screening has been used in Norway for many years as a physical treatment for sewer water. A new use for fine-screening is as a pre-treatment stage for influent before it undergoes biological treatment, in order to thus achieve greater treatment capacity on the WWTP. However, the consequences for the treatment process were not known precisely. This concerned parameters such as air flow for aerating active sludge and the drainage sludge production, the settlement and dewatering of sludge, the effluent concentrations and the energy consumption. The effect of influent fine-screening on the WWTP process was determined during the Screencap project. To achieve that, a fine-screen installation consisting of 8 fine screens was installed on one of the two identical, independent treatment lines at the Aarle-Rixtel WWTP (capacity 272,000 Population Equivalents (PE)). The fine-screen installation and both treatment lines were intensively monitored during the period from 13 October 2016 up to and including 15 August 2017. It was possible to determine the effect of the fine-screen pre-treatment on the WWTP process by comparing the results of the fine-screen treatment line with the conventional treatment line. A baseline study was performed prior to the Screencap study, which confirmed that both treatment lines were comparable at the start of the Screencap study. The most significant performances of the fine-screens and the effect on the most important parameters of the WWTP are shown in Table 1 below. Table 1: The most significant performances of the fine-screens and the effect on the most important parameters of the WWTP wastewater treatment process at Aarle-Rixtel. **) Total energy consumption, including the location-specific pump stage. Without the pump stage an energy-neutral or energy-positive installation is potentially feasible. Fine-screen installation at the Aarle-Rixtel WWTP. The fine-screen technology has no negative or positive effect on the ultimate effluent quality: both treatment lines show a comparable effluent quality. The fine-screen technology has no effect on the sludge settlement. The SVI remains comparable for both lines. The drainage sludge production in the line with fine screens reduced by approximately 10%. As a result of this there is a substantial reduction in transport movements in relation to the transport of the surplus treatment sludge produced. Apart from the reduced volume of sludge there was no noticeable effect on the sludge dewatering; the dry-matter percentage in the dewatered materials did not change, but the chemicals demand was approximately 8% lower. The line using the fine-screen technology required approximately 15% less aeration energy. The fine-screen material that was captured can be easily fermented and produces 2-3 times more biogas compared to normal surplus sludge cake from the Aarle-Rixtel WWTP. The capacity of the WWTP increased by approximately 10% due to the use of fine-screen technology. From the large number of feasibility studies it appears that there is a major interest in the market for Screencap. A properly validated reference for full-scale fine-screen technology has been achieved with the demonstrated use and positive results at the Aarle-Rixtel WWTP. This will facilitate the further use of fine-screen technology within and outside of Europe. This project has received funding from the Eco-innovation initiative of the European Union; GA number ECO/13/630492/SI.2.681277 (www.screencap.eu).